Centre for Factories of the Future (CFF) is based on Warwick University Science Park, Coventry, UK. CFF was formed in 1984 when the UK became a member of EU. It was formed after being selected as EU’s EUROTECNET site one of the nine UK European technology innovative projects. The centre established major manufacturing education and training units in the UK and supported the establishment of several centres in Europe. A report has been published by the UK Government and several papers and reports have been published by the EU on its activities and achievements. In 2004, CFF’s Marine Education Division formed a collaborative arrangement with TUDEV Maritime Education Centre and established a partnership with several nautical intitutions of further and higher education named MarEdu. MarEdu has agreed to represent TUDEV’s interest in the UK and Europe. TUDEV and CFF together prepared a Leonardo pre-proposal. The pre-proposal was successful and subsequently a full proposal was submitted to the EU. 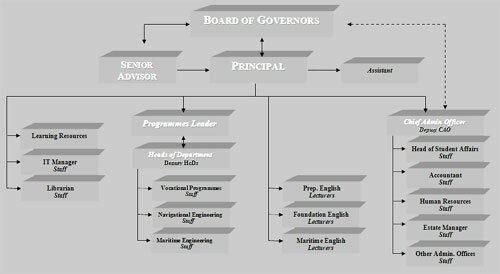 Turkish Maritime Education Foundation (TUDEV) was established in Istanbul in 1993 by 52 founding members, mostly from the shipping community. TUDEV is a charitable trust, hence not a profit-making organisation. All of the Foundation’s income is spent to serve its purpose. The main aims of TUDEV is to raise the standard of Turkish Shipping Industry to world class and in doing so also to determine maritime political views in order to increase the wealth of the Turkish economy. These aims are achieved through the provision of high quality education and training to young people so that the Turkish shipping industry is provided with high quality personnel for its efficient and effective operations and management. The Foundation also provides specific education and training, namely small craft courses (captain/skipper) and short management training programmes offered by its Yachting School in Çeşme, İzmir, since 1998. Turkish Maritime Education Foundation started its operations first by supporting Istanbul Technical University (İTÜ). To increase the number of able seamen, TUDEV supported the opening of İTÜ’s Marine vocational school by providing the necessary physical and human resources to the University. In 1995, an agreement was signed with the Ministry of Education and the Foundation activities were moved to a new Building in Pendik, Istanbul. At the same time İTÜ Marine vocational school was also moved to this new building. Several universities also provided resources for the new centre (9 Eylül University Deniz İşletmeciliği ve Yönetimi Yüksekokulu, Kocaeli University Denizcilik Meslek Yüksekokulu, Kıbrıs Yakındoğu University School of Maritime, İstanbul University Deniz Ulaştırma ve İşletme Mühendisliği). Later in 1995 TUDEV started her own school, providing Deck and Engine officer vocational programmes. These programmes satisfy the IMO requirements. In 1999, TUDEV with support from Turkish Chamber of Shipping constructed the new site where TUDEV is currently located. We would like to see that our students fully realise their potential in their chosen career by adding value to their knowledge, skills and understanding and through motivating them, by identifying their interest, for maximum achievement. The vision is realised through the development of our students for life and in partnership with them. This quality manual is an ongoing attempt to provide all the necessary information about the organisation, its people, committees, quality principles and procedures including the methods for collecting and acting on information. The vehicle used to realise our organisational goals is through careful design of jobs and by recruiting the best candidates for each job identified. Through staff development activities, arrangements are made to ensure staff recruited and jobs specified are well matched. Job specifications are reviewed regularly to ensure these are in line with our requirements as governed by our organizational goals. MarEdu is set to have a worldwide reputation for its unique approach to teaching and the fact that its teaching team is composed of internationally known academics. The learning is focussed on the need of our students and the concept of learner-centred education and education for life. We value our academic standards and the quality of our academic operations. We have created a friendly and professional environment for learning. The institiute applies a range of learning opportunities and methods to cater for heterogeneous nature of our students entering onto our Units and programmes. The Centre currently has composed of two departments: Marine Engineering and Navigation Engineering. The approach in designing and developing academic Units at CFF - TUDEV is based on preparing our students for life and at the same time apply real examples and case studies to underpin the knowledge and skills developed in the classroom environment and to encourage understanding rather than acquisition of knowledge. Our programmes have been developed with our international partners and are accreditated by appropriate professional bodies.